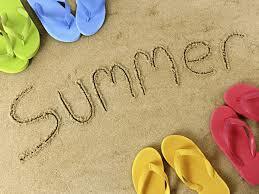 Book your free consultation with one of our Specialist Orthodontists in July 2014. Contact us today on 01932 831825 or at tc@weybridgeortho.com to start your journey towards a beautiful smile this summer. This entry was posted in Blog on 19th June, 2014 by Weybridge and Kingston. This entry was posted in Blog on 5th June, 2014 by Weybridge and Kingston. This entry was posted in Blog on 30th April, 2014 by Weybridge and Kingston. This entry was posted in Blog on 3rd April, 2014 by Weybridge and Kingston. Dear Patients please note that the path our side of Monument Hill will be closed from Monday the 7th April 2014 as there are road works starting on Monument Road/Hill for 24 weeks to build a new roundabout on this road. The road junction between Monument Hill and Monument Road will be closed from the 14th April 2014. Please allow extra time for your journey as there might be temporary traffic lights in place to facilitate the construction.